I came down with a terrible stomach ache today. It’s rare that I’m too sick to want to eat, but I was tonight. 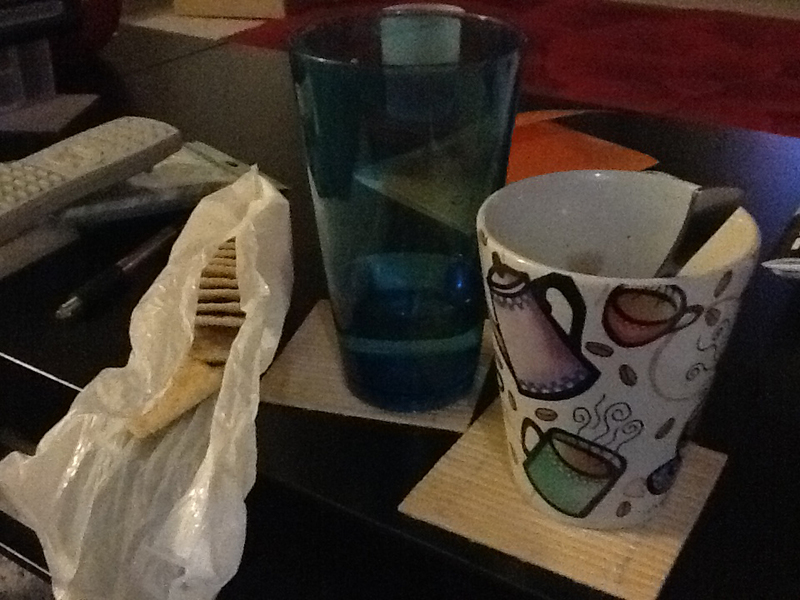 Andy insisted that I try though, and sweetly made me some soup and crackers.